You will always remember your firsts. First love, first car, first job, first time, first heartbreak, first real love, first accident, first kiss – all of the firsts. This blog, my first time contributing to a personal blog, this first real and very public project with the sisters, turns a big huge ONE today. The Weather Vane Sisterhood celebrates its first anniversary. A pretty big first in my books. I kind of can’t even believe it. It feels oddly similar to the first birthdays of my precious nieces and nephew. I’m bursting with pride, but struggling to understand where all that time went. It really does just seem like yesterday that we sat down at Jacqui’s house, gathered around her kitchen table, to determine what we wanted this to be, where we thought it could and might go. I remember then feeling nervous and unsure if I had any writing chops at all – especially compared to my genius sisters. Somehow that feeling never truly goes away and I feel it flutter through my stomach at the scheduling of every post. Some posts are raw and honest, some are lighthearted and maybe even funny, and some may be deeply personal. This blog has taught me that I am usually not alone in how I feel – not only through connecting with you, our fabulous readers, but also reading the insightful and inspiring stories from my sisters. I’ve learned so much about our sisterhood in this year and, as Julia expressed yesterday, no matter how small our readership may be, I am so thankful for you following along on this crazy journey of our sisterhood. I’m so excited to see what year two holds. When it came time to choose what I’d like to give you, I had to reflect on the sudden, incredible, completely exhilarating love in my life: my Yoga practice and the incredible community of Moksha Yoga Cambridge. 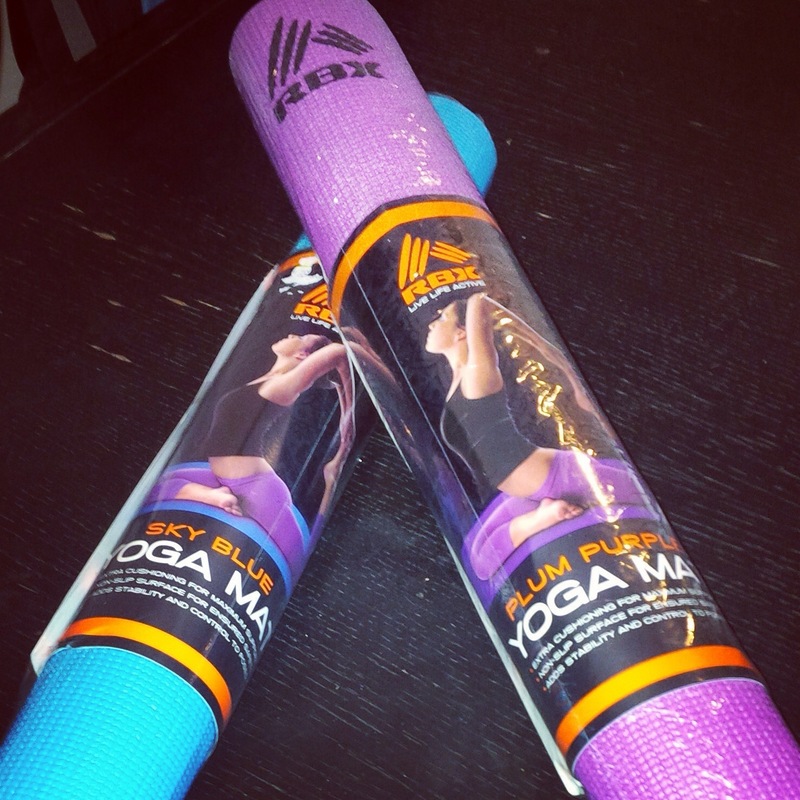 I have chosen to give away an RBX yoga mat in honor of my passion for the practice of yoga. Between the peace it has brought me during the past few tougher months, to the inner growth I’ve experienced, I cannot put into words what it has done for my life. More than that, until you’ve tried it and let go enough to let it work its magic, I will never be able to describe it to you unless you’ve felt it. All I can say, with 100% conviction, it it’s totally worth it. In addition, I would like to invite you to Moksha Yoga Cambridge on Friday nights for their Karma practice. It’s $5, a great way to stretch out from your crazy week and, even better, all of your $5 goes towards a different charity on a rotating monthly schedule. This month the proceeds of the Friday evening Karma practice are benefiting The Bridges – Cambridge Shelter. So, even if you don’t win this mat, please grab one and join us at 8:00 pm every Friday to participate in a little good karma. In order to enter any and all of the giveaways, all you have to do is leave a comment answering the question for that day. You’ll receive one entry for every comment on that day’s giveaway – you can leave one comment or 100 comments, just make sure you’re answering the question. Be sure to enter all of the giveaways before 12:00 am EST on Saturday, February 14th in order for your entries to be considered. I’d be honoured to share my love of Yoga with you! To get started, all you have to do is answer the question: what is your favourite yoga pose and why? If you’re not a yogi per say, what is your favourite exercise and why? I look forward to hearing from you, our dear readers. My heart is grateful for this, our very first year.